PASADENA, Calif. -- Researchers using a powerful instrument aboard NASA's Mars Reconnaissance Orbiter have found a long-sought-after mineral on the Martian surface and, with it, unexpected clues to the Red Planet's watery past. Surveying intact bedrock layers with the Compact Reconnaissance Imaging Spectrometer for Mars, or CRISM, scientists found carbonate minerals, indicating that Mars had neutral to alkaline water when the minerals formed at these locations more than 3.6 billion years ago. Carbonates, which on Earth include limestone and chalk, dissolve quickly in acid. Therefore, their survival until today on Mars challenges suggestions that an exclusively acidic environment later dominated the planet. Instead, it indicates that different types of watery environments existed. The greater the variety of wet environments, the greater the chances one or more of them may have supported life. "We're excited to have finally found carbonate minerals because they provide more detail about conditions during specific periods of Mars' history," said Scott Murchie, principal investigator for the instrument at the Johns Hopkins University Applied Physics Laboratory in Laurel, Md. The findings will appear in the Dec. 19 issue of Science magazine and were announced Thursday at a briefing at the American Geophysical Union's Fall Meeting in San Francisco. Carbonate rocks are created when water and carbon dioxide interact with calcium, iron or magnesium in volcanic rocks. Carbon dioxide from the atmosphere becomes trapped within the rocks. If all of the carbon dioxide locked in Earth's carbonates were released, our atmosphere would be thicker than that of Venus. Some researchers believe that a thick, carbon dioxide-rich atmosphere kept ancient Mars warm and kept water liquid on its surface long enough to have carved the valley systems observed today. "The carbonates that CRISM has observed are regional rather than global in nature, and therefore, are too limited to account for enough carbon dioxide to form a thick atmosphere," said Bethany Ehlmann, lead author of the article and a spectrometer team member from Brown University, Providence, R.I.
"Although we have not found the types of carbonate deposits which might have trapped an ancient atmosphere," Ehlmann said, "we have found evidence that not all of Mars experienced an intense, acidic weathering environment 3.5 billion years ago, as has been proposed. 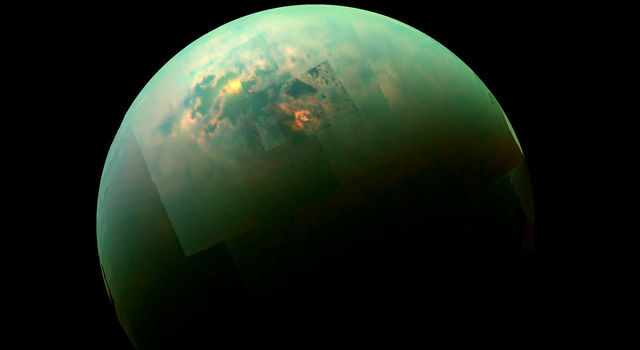 We've found at least one region that was potentially more hospitable to life." The researchers report clearly defined carbonate exposures in bedrock layers surrounding the 1,489-kilometer-diameter (925-mile) Isidis impact basin, which formed more than 3.6 billion years ago. The best-exposed rocks occur along a trough system called Nili Fossae, which is 666 kilometers (414 miles) long, at the edge of the basin. The region has rocks enriched in olivine, a mineral that can react with water to form carbonate. "This discovery of carbonates in an intact rock layer, in contact with clays, is an example of how joint observations by CRISM and the telescopic cameras on the Mars Reconnaissance Orbiter are revealing details of distinct environments on Mars," said Sue Smrekar, deputy project scientist for the orbiter at NASA's Jet Propulsion Laboratory in Pasadena, Calif.
NASA's Phoenix Mars Lander discovered carbonates in soil samples. Researchers had previously found them in Martian meteorites that fell to Earth and in windblown Mars dust observed from orbit. However, the dust and soil could be mixtures from many areas, so the carbonates' origins have been unclear. The latest observations indicate carbonates may have formed over extended periods on early Mars. 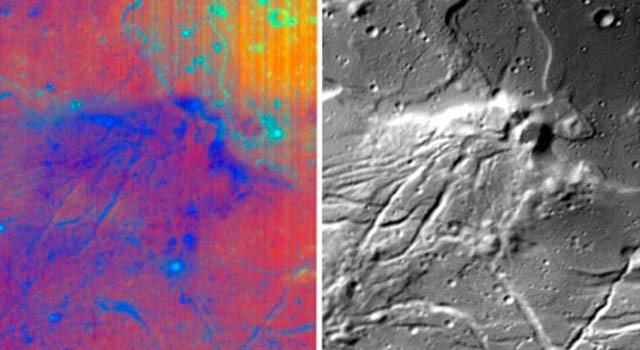 They also point to specific locations where future rovers and landers could search for possible evidence of past life. The Applied Physics Laboratory led the effort to build the Compact Reconnaissance Imaging Spectrometer for Mars and operates the instrument in coordination with an international team of researchers from universities, government and the private sector. 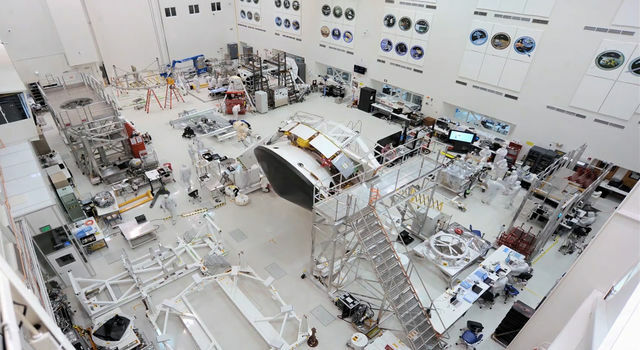 JPL, a division of the California Institute of Technology, Pasadena, manages the Mars Reconnaissance Orbiter mission for the NASA Science Mission Directorate in Washington. Lockheed Martin Space Systems, Denver, is the prime contractor for the project and built the spacecraft. 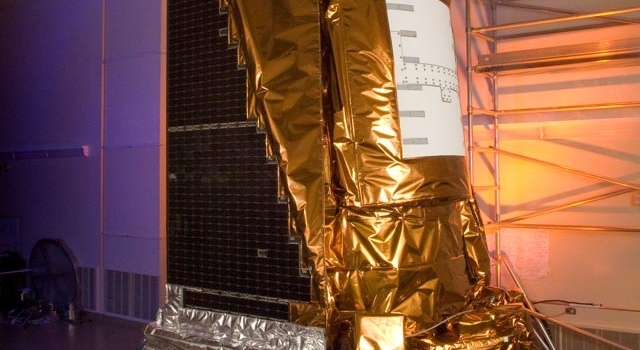 For more information about the Mars Reconnaissance Orbiter, visit: http://www.nasa.gov/mro . Additional public affairs contacts: Richard Lewis, Brown University, Providence, R.I., 401-863-3766 or richard_lewis@brown.edu . Rachel Prucey, NASA Ames Research Center, Moffett Field, Calif. 650-604-0643 or rachel.l.prucey@nasa.gov . Johns Hopkins University Applied Physics Laboratory, Laurel, Md.